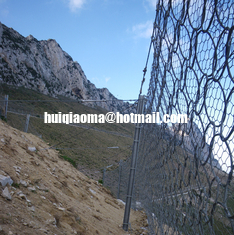 5000kj Rockslide Protection is our newly developed system,with high rockfall impact resistance protection. It's made of steel ring nets. 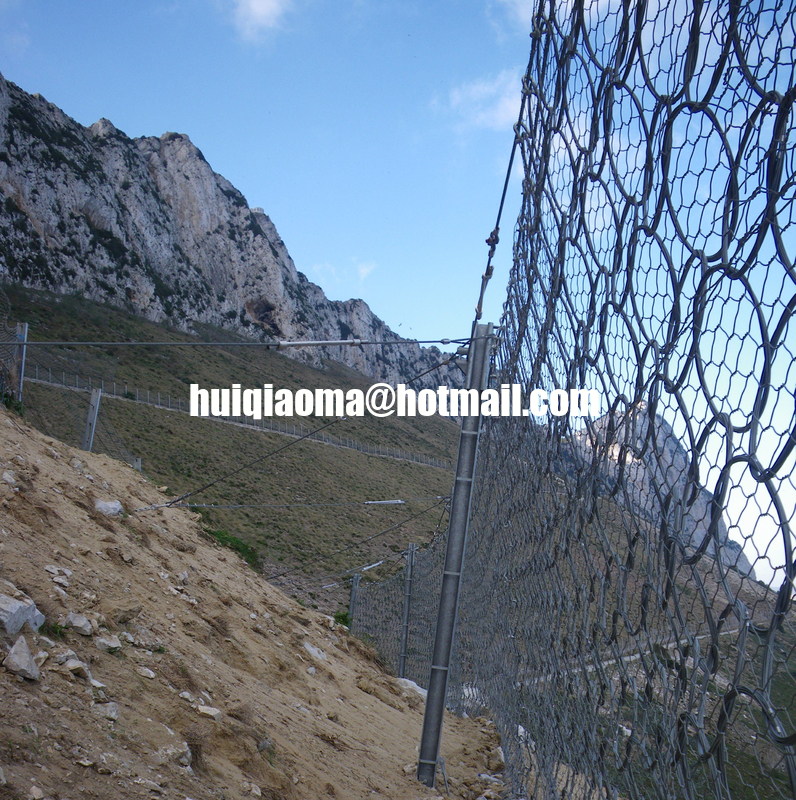 Ring nets are used mainly for rockfall protection screens owing to their considerable strength and the fact that they need little maintenance. They are made of high strength steel wire (140 to 155 daN/mm2 depending on diameter). They are braided, which means they are much stronger than ring nets made of wound coils held by clips. The absence of any visible end rope (these are inserted inside the strand) ensures better energy absorption and greater safety during placing. 1+6 peripheral ring type for high energy levels.